The International Conference on Game Theory and Management was established at Saint Petersburg State University in 2007 under the National Priority Project “Education” and at once stimulated cooperation among researchers in the field of game theory and management. The choice of the Conference venue is devoted to the fact, that it was the Saint Petersburg State University, where in 1950s Professor Nikolay N. Vorobyov and his colleagues gave rise to the development of game theory in Russia. Today the Conference accumulates the latest theoretical and practical contributions to game theory and its applications, including dynamic games. Since the First Conference in 2007 the international program Committee under the supervision of leading researchers in the field – Leon A. Petrosyan, Dean of the SPbU Faculty of Applied Math and Control Process, and Nikolay A. Zenkevich, SPbU GSOM Assistant Professor of Operations Management Department – has boosted the Conference significance: more than 1000 researchers from 62 countries, mostly members of The Game Theory Society and the International Society of Dynamic Games, have participated in the Conference sessions; 40 outstanding foreign and Russian scientists, among which the winners of Isaacs Award for outstanding contribution to the theory and applications of dynamic games, have given plenary talks; 6 Nobel Prize winners have visited the Conference during these years – Robert Aumann (2007), John Nash (2008), Reinhard Selten (2009), Roger Myerson (2011), Finn Kydland (2013) and Eric Maskin (2016). Traditionally, “Contributions to Game Theory and Management” containing a selection of papers edited by Leon A. Petrosyan and Nikolay A. Zenkevich follows up the Conference. Online versions of the previous nine volumes of “Contributions…” reviewed by Mathematical Reviews, Zentralblatt MATH and VINITI RAS can be found at www.mathnet.ru, as well as collected abstracts of the papers presented at the Conference are cited in RePEc and SCOPUS databases. Another strong tradition of the Conference are research workshop on network games and its applications by Vladimir V. Mazalov, Institute of Applied Mathematical Research, Karelian Research Center, and open lectures on trending themes by the key Conference speakers. The results of The Tenth International Conference on Game Theory and Management are the following: 86 out of 98 papers by 182 authors from 22 countries were selected for presentation at the Conference; 68 papers were reported at the parallel sessions, 4 – at the plenary sessions, including 32 papers reported by foreign authors (co-authors). Nobel Prize winner Professor Eric Maskin, Harvard University, visited Saint Petersburg State University and conducted a plenary talk “Elections and Strategic Voting: Condorcet and Bord”. 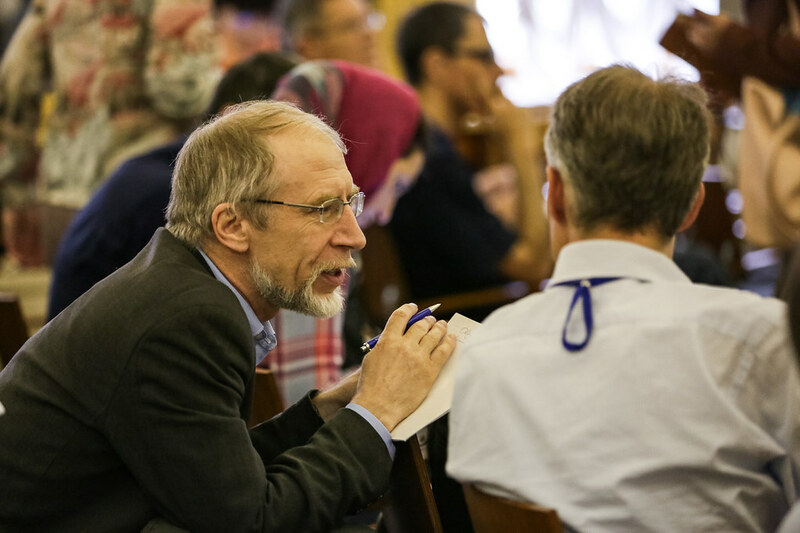 During the Conference Professor Maskin gave an open lecture on mechanism design theory, the one he received the 2007 Nobel Memorial Prize in Economics (with L. Hurwicz and R. Myerson) for, and took an active part during the Conference sessions. The Conference results prove that at the current level of economics and managements development the application of game theoretical methodology is becoming an absolutely essential skill for any successful manager. The general assembly of the Conference resolved to hold The Eleventh International Conference on Game Theory and Management (GTM2017) in GSOM SPbU on June 28 – 30, 2017.